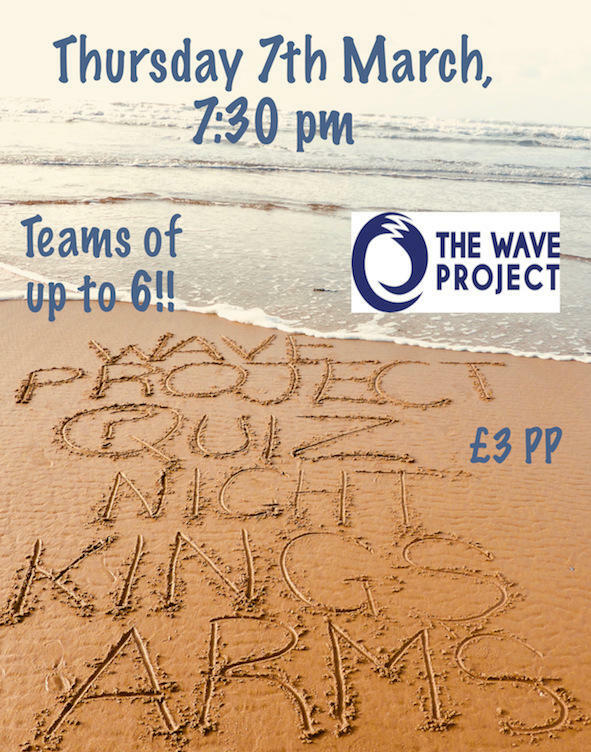 Thaw out your brain at the next Wave Project Pub Quiz, taking place on Thursday 7th March at the King’s Arms in Georgeham. The entry fee is £3 per person and teams of up to six people can enter, with all proceeds going to the Wave Project. Booking is advisable, or you can turn up on the night. It kicks off at 7.30pm. Contact Ian Bennett on 07484 288358 or the King’s Arms on 01271 890240 to book your spot!